Baptisms, First Communions and Confirmations are such precious events. These are the perfect cookies to help celebrate the big day! 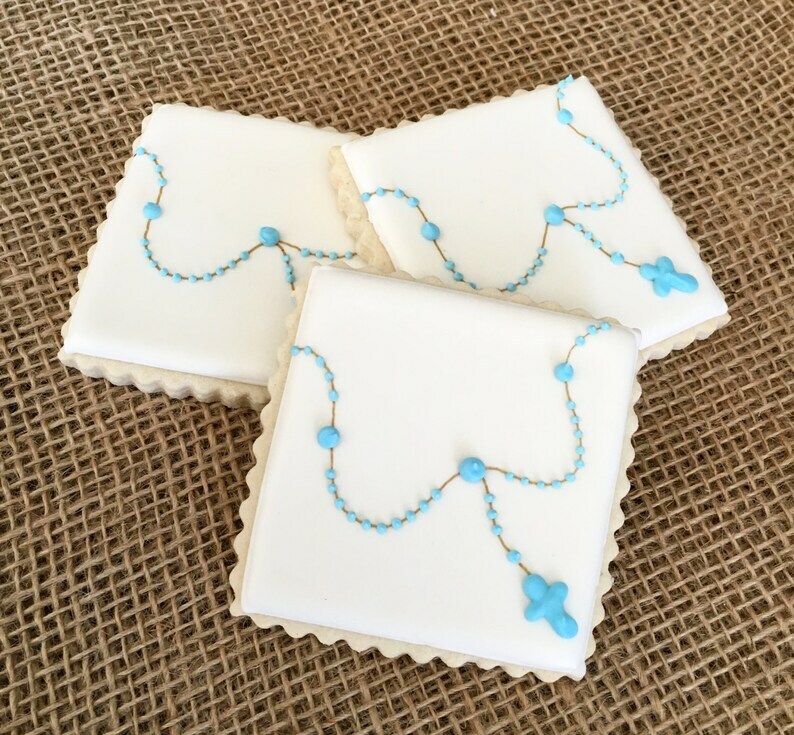 This listing is for 12 fluted square cookies with a rosary on a white background. Colors can be changed to fit your event! Cookies will be heat sealed in a crystal clear cello bag. These cookies do not contain preservatives. Please keep them in their bags until ready to be served. They will stay fresh in their bags for 2-3 weeks. Extra are 4.00 each. Contact us to add additional cookies!